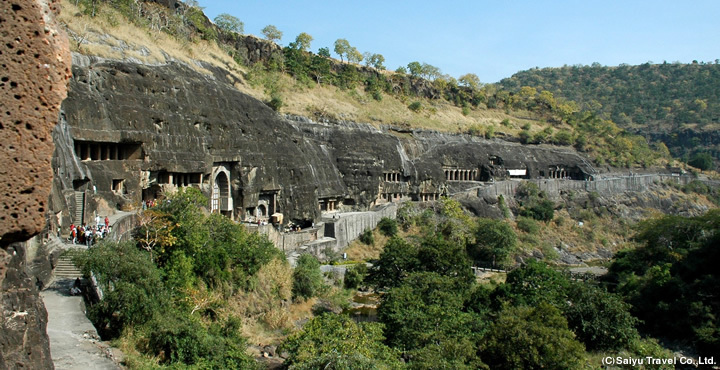 Visit Ajanta Caves and Ellora Caves, two of India's greatest world heritages ! 1 Aurangabad • Fly to Aurangabad (Maharashtra) by a evening flight. • On arriving, meet an assistant. Then transfer to Hotel. 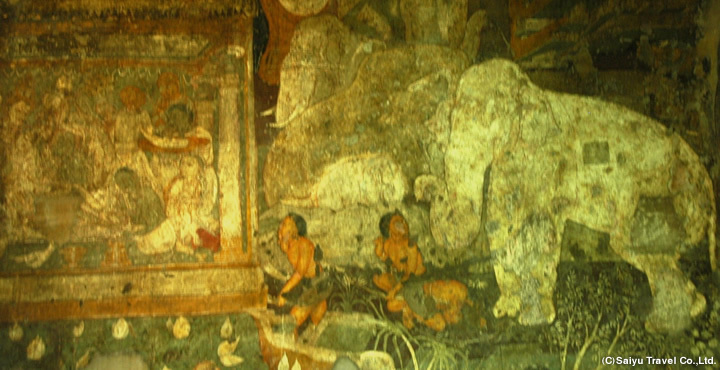 •	You would lionize the caves with the wonderous carvings and paintings like the painting of Padmapani. •	After the illustrious Indian stone etchings drive back to Aurangabad and get comfy at your respective hotels. 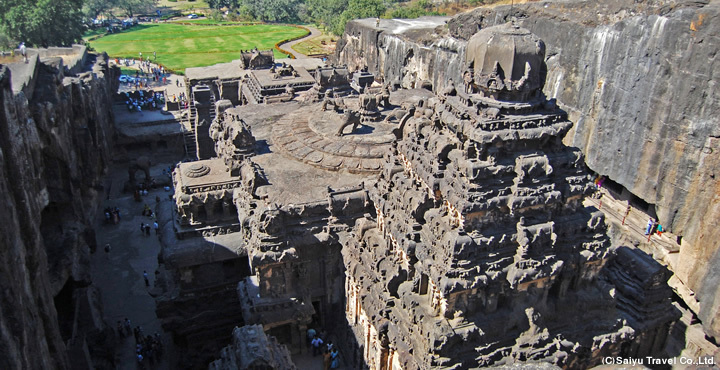 (Ellora Caves) •	Get ahead the next morning exploring other historical memorials in Aurangabad that includes Bibi-ka-Maqbara, mausoleum that exceptionally resembles Taj Mahal. 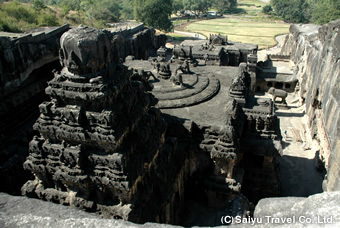 •	Then moving on to Ellora to visit the World Heritage Site of Ellora Caves. ** The tour is generally planned with an late evening arrival flight and early evening departure flight. But it can be customized as per the request of the customer and availability of the flight options. ** 5.0% government service tax would be applicable on the prices above. ** Air tickets can be arranged on request based on best available airfare. ** For more than 4 people in a group, kindly contact us for the best possible quotes. ** The prices above are valid from April 1, 2016 to September 30, 2016. For other dates, kindly contact us. ** For more than 3 people travelling or for a child under 12 year’s old, kindly get in touch with us for the best prices available. ** If these hotels were full at the time of booking, we would book another same class hotel. •	Personalized tour with a private car and a professional guide from start to end. •	Visit the two wonders in India, Taj Mahal, the masterpiece of Mughal Architecture, and Agra Fort, built by the prospering Mughals just in a day. •	Applications just before the tour are also addressed. •	No worries of planning an instantaneous trip. Visit two of India's greatest World Heritages - The next most accepted destination after Agra and Jaipur! Spend ample time to comprehend and commend the depth of artistic carvings and Buddhist art on traditional heritages - Ajanta and Ellora. 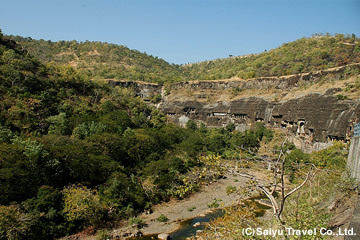 Ajanta was unexpectedly rediscovered in 1819 by a British officer who came there for tiger hunting. While numerous Indian Buddhist ruins are well known for their stone carvings, Ajanta caves are left with many murals that were mainly built in two periods, the former being BC 2nd century to AC 2nd century and the latter was mid-5th century to 7th century parallel to the time when Buddhist art had commenced to prosper. 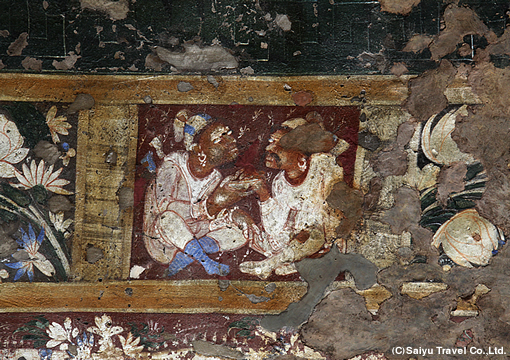 The Padmapani in the first cave is one of the pronounced works in Ajanta Caves, which is said to have influenced the manner of painting of Mahasthamaprapta in the Main Hall of Horyu-ji Temple in Japan that was destroyed by a tragic fire in 1949. The murals were painted with some kinds of pigment like lapis lazuli, which is said to be brought from Afghanistan, or loess etc. on the wall of the caves undercoated by the materials of cow dung, clay or lime etc. The murals show the Buddha's biography and Jataka (the previous births of the Buddha) tales that are easily understood by illiterate people. 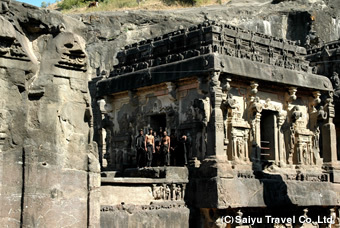 Ellora Caves were carved out by Buddhist, Hindu and Jain monks over a span of 500 years from AD 6th to 10th century. Among the 34 caves on the cliff stretching for 2 km, 12 are Buddhist, 17 are Hindu and 5 are Jain. Because Ellora Caves have been prominently known and complimented since the time it was started to be built unlike Ajanta, only a few paintings are present inside the caves in today’s time. However, Kailasanathar Temple, the 16th cave, carved out by digging down the basaltic hill, gives a depth and apex of Indian stone carvings, with the wondrous carvings of 4 lions above the praying hall and several gods and goddesses meticulously carved.